(Washington, D.C., September 6, 2012). 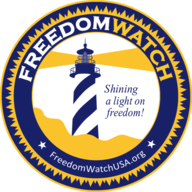 Today, Larry Klayman, founder of Judicial Watch and Freedom Watch, and one of President Bill Clinton's biggest legal adversaries during the Clinton administration (see www.freedomwatchusa.org for video of Clinton attacking Klayman at a presidential press conference), issued this statement in the wake of Clinton's defense of another corrupt president, Barack Obama, at the Democratic National Convention last night. "During his administration, President Bill Clinton became enmeshed in over 38 scandals, not the least of which involved Monica Lewinsky. He not only disgraced the Office of the President, but even more egregiously committed acts of treason by accepting bribes, in the form of contributions for his campaign, legal defenses in the various scandals, and his presidential library from the communist Chinese. In exchange, Clinton allowed for the transfer of high missile and satellite technology to the Chinese; technology which has allowed for greater accuracy for their nuclear missiles, now aimed at the United States. 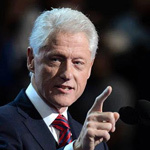 "In the late 1990s, Republicans in Congress sought to impeach Clinton, but only for the Lewinsky scandal, which paled in comparison to the president's treason. The goal of the Republicans was only to wound Clinton in time for the 2000 presidential elections, so they did not want to convict him in the Senate. "Now, 13 years later, Clinton has risen from the politically and legally dead and come back with a vengeance, fully 'rehabilitated,' to deliver crushing blows to the Republicans at the DNC convention. While his recitation of President Obama's accomplishments was largely false, his presentation was powerful and will likely help serve, with the aid of the mainstream media, to defeat Republican candidate Mitt Romney in this fall's presidential election. "The cowardess and establishment games of the Republicans failing to hold Clinton to the rule of law are just some of the reasons why the nation has lost respect for them and why they lose elections. And, with a president, Barack Obama, as corrupt as Clinton now in The White House, and with an opposition Republican Party that lacks conviction, plays games and can't shoot straight, it is no wonder that the country is on the verge of revolution," stated Klayman.